Are you ready to get serious about adding omega-3s to your diet? Then it’s time to rethink your breakfast! 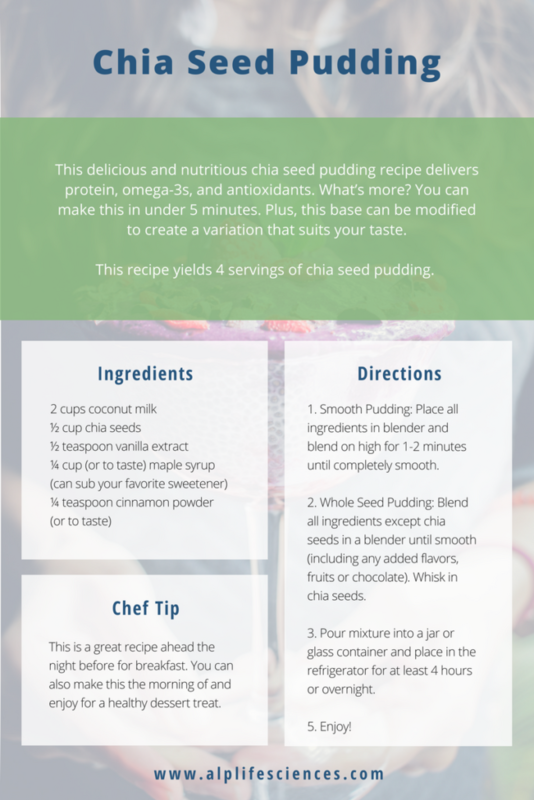 This recipe for chia seed pudding will help you start your day with omega-3s and antioxidants. Bonus: it’s super quick and easy to make, meaning this is the perfect option for the work week rush. If you enjoy berries, toasted coconut flakes, dark chocolate, or other toppings – go ahead and pile them on! This base recipe can be customized and tweaked to your liking. You can also sub another non dairy milk for the coconut (almond, soy, flax). Happy eating!